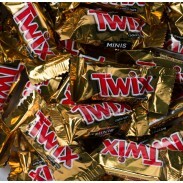 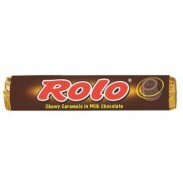 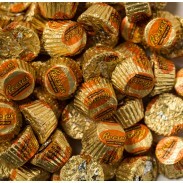 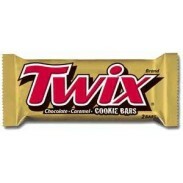 Make turning 50 or any golden anniversary sweeter with our gold foil-wrapped chocolates and candies. 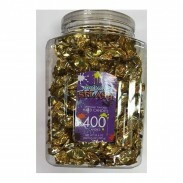 50th anniversary parties, bridal showers, weddings, baby showers, engagement parties, confirmations, proms, baptisms, communions, casino nights, school dances, proms, sweet 16s, candy buffets and gift bags are just a few special events and offerings that get glimmering when celebrated with the color Gold. 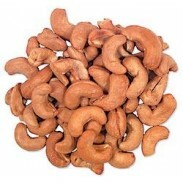 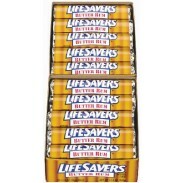 Choose from popular flavors, such as creamy peanut butter, savory cashew, scrumptious chocolate, luscious caramel, smooth butter rum and creamy butterscotch. 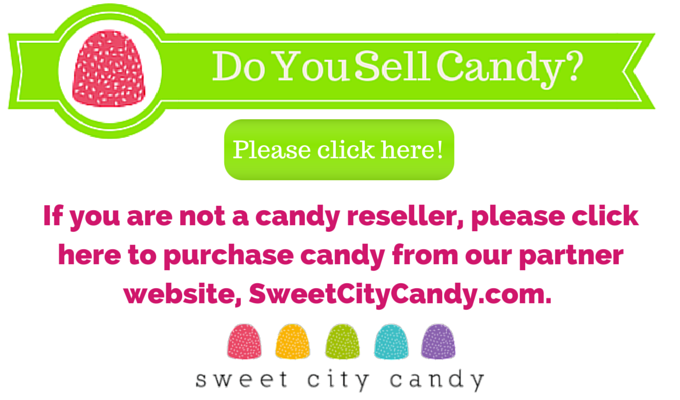 We sell our wrapped and unwrapped candy, snacks, gum and confections in bulk by the pound at wholesale prices so you can mix and match to create just the right amount of sweet and sassiness. 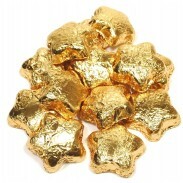 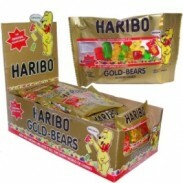 Our wide variety of gold-themed confections includes: Butterscotch Discs, Whole Roasted Cashews, Gold Foil-Wrapped Chocolate Cigars, Colorwheel Milkies, Gold Foil Wrapped Milk Chocolate Croquettes, Ferrero Rocher, Fort Knox US Dollar Medallions, Go Lightly Mints, Gold Foil-Wrapped Quarters and Half Dollars, Haribo Gold Bears, Shimmer Gumballs, Ice Cubes, Koppers Gold Almond Jewels, Reese’s Peanut Butter Cups, Butter Rum Lifesavers, Rolos, Sixlets and Twix Caramel. 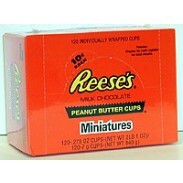 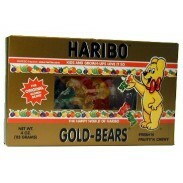 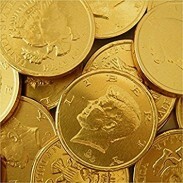 Dont forget gold coins, chocolate dreidels and other Hanukkah candies this holiday! 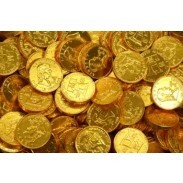 Chanukah Gelt 1/2oz. 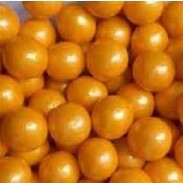 - 36ct. 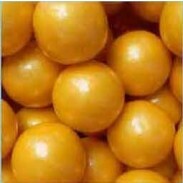 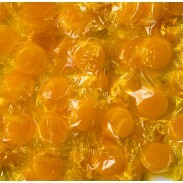 Gumballs Pearl Gold 1" 2lbs. 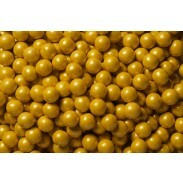 Gumballs Pearl Gold 1/2" 2lbs. 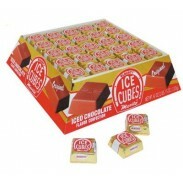 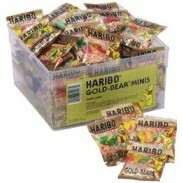 Ice Cubes Display Box 100ct. 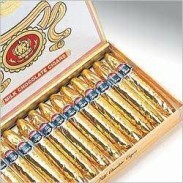 Wrapped Hard Candy Gold Foil 400ct.